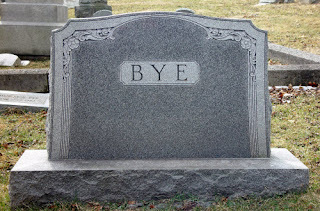 RISCARIO INSIDER: RIP: WHAT HAPPENS IF YOUR INSURANCE ADVISOR DIES? RIP: WHAT HAPPENS IF YOUR INSURANCE ADVISOR DIES? Last time, we wondered if your advisor is sleeping on the job. Let’s explore the extreme. What happens to you if your insurance advisor dies? Your policy is a contract with the insurer. They'll keep their obligations as long as you pay your premiums. Default actions take place if you die without a Will. Ditto for your advisor. Your policy may be an "orphan" until another advisor takes over. If the new advisor paid to buy the block of business, there is an incentive to sell more insurance to current clients. In a way, the new advisor bought a client database and some residual income. The real revenue comes from new sales. If you don't already know the new advisor, there's not much advantage to using them. The dead advisor's firm might even get rebranded, which removes links to the past you may have valued. What if the new advisor got the business for free? Again, the real revenue comes from new sales. Anyone can die unexpectedly. That's the reason for insurance. If your advisor passes away prior to age 60, a successor may not be in place. If the advisor worked for an insurance company ("captive agent") or bank (an employee), the transition is easy. Ditto if that advisor worked as part of a team and you were served by different team members. The challenge is with an advisor who served you solo — even if they were part of a team. Also, agreements fall apart. There's the whole problem of trust. There needs to be a smooth transition where the seller introduces the buyer to current clients and the buyer becomes the primary contact. This process can easily take years. The seller faces a fear: the buyer could take some of the best clients without completing the sale. During this phase, revenue is likely increasing since the clients are getting more attention and opportunities to buy. Relationship are also shifting to the buyer. The buyer faces a fear too: the seller could change the sale date, terms or price (because the business is likely growing). There's also the problem of liability. What if the seller has lousy files, provided poor service or sold the wrong products? The buyer probably has the liability for what was done before. When the seller is retiring, the clients could easily be of retirement age too. Maybe they have all the insurance they're ever going to buy. Their children may have their own advisors. The buyer may not get or retain as many clients as anticipated. Legal agreements are designed to prevent these kinds of games but lawyers are expensive. I have seen situations where the sellers have taken advantage of the buyers — using them as cheap labour to revitalize the business and then not completing the sale. You don't need to worry about squabbling between the buyer and seller since your contract is with the insurer. However, your service may suffer during the transition. Afterwards, count on attempts to sell you new coverage. It's tough to sell consumer products you wouldn't buy. That's why asking advisors about their own coverage won't tell you much. Since they buy at a discount, they will likely have plenty. Instead, ask your advisor: "What happens to me if you die today?" Oblivion: What happens if your insurer dies? Rate hikes: Is your advisor sleeping on the job? PS Be especially wary if you're encouraged to replace old products with new ones. RIP: STEVE JOBS “BUTTONED UP”. HAVE YOU?